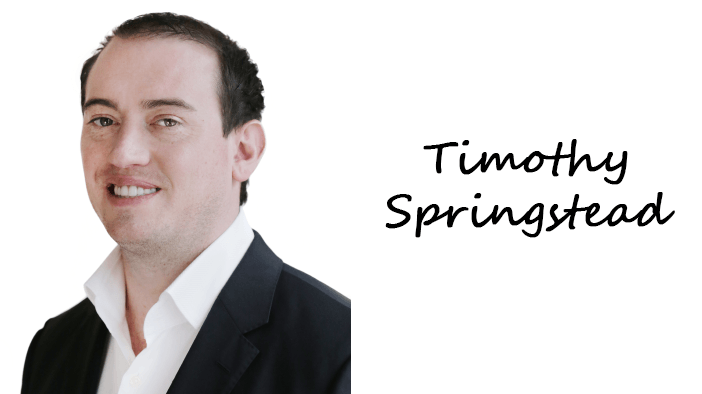 Tim Springstead is a transformational leader with over 10 years experience in positioning companies for success in new and existing markets, resulting in accelerated revenue, increased profitability and expanded market footprints. With subject matter expertise in data-driven marketing, digital media, sales strategy and the online advertising ecosystem Tim has held sales leadership positions spanning a diverse range of business environments from large public companies to start-up ventures. Tim is currently part of the team at Facebook, working to make the world a more open and connected place. Previously he was VP of Sales, The Americas at Adara, the world’s largest travel data platform and served as the VP of Sales at Travora Media managing Travora’s global advertising sales team leading to the company’s sale to MediaShift, a publicly held technology firm, in 2014. Tim directed the go to market strategy and launch of Globetrotting Digital Media, a travel and leisure division of Evolve Media Corp in 2011. In his early career held various positions managing product and revenue at leading media and technology firms such as Travel Ad Network, InterActiveCorp (IAC) and AskJeeves. Tim holds a bachelor’s degree in Computer Applications and Information Systems and MBA from the University of Bridgeport. He was named one of PhocusWright’s “35 under 35 in Travel” in 2010. Tim’s has been actively involved with the Motivational Edge since it’s inception, formally joining the Board in 2010. Tim works across a number of disciplines at The Edge including marketing, revenue operations, fundraising and strategic planning.